John has been playing the accordion since the age of 8 and was a British Champion at just 15. Years of experience have led to a wealth of knowledge about the instrument. Make sure you have the right teacher! 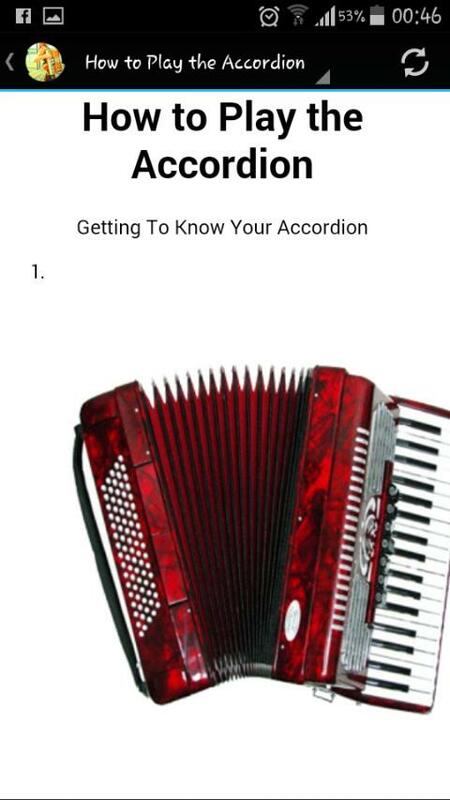 We found this picture on page 1 of a Google ‘accordion teacher’ search, what's wrong with it? Let's just say it doesn’t leave one with a great deal of faith in that teacher… Be sure you are in good hands and let John be your tutor and you will find out what is wrong with the picture. John can teach for competitions, exams, or just for fun. You guide how fast or slow you want to go, the most important thing is that you enjoy the process. Having closed his well-known music school in Eastbourne three years ago when they moved John has decided that now is the time to reopen it in Middlewich, Cheshire. Consequently, he is now looking for new pupils for any of the following subjects. Lessons for those interested in the piano accordion. From absolute beginner to advanced, just for a bit of fun right up to competition standard. Lessons for those interested in knowing more about electronic/midi accordions. The main aim here is to teach what can be achieved with today's modern instruments and how. Not sure about midi and your accordion? No one in the UK knows more about the subject. Again the main aim here is to teach what can be achieved with today's modern instruments and how. Couple Johns place in the organ & keyboard world, Carillon Studios keyboard software and his knowledge of entertaining you are assured in getting the very best out of your instrument. Lessons cost £15.00 per half hour or £25.00 per hour. A 10% discount for under 21’s and 20% for under 16's is available (please note under 16’s must have an accompanying adult with them). Don’t have your own accordion? No problem! For a refundable deposit, we will loan you an instrument until you decide to buy your own. John is quite happy to have lessons recorded so that pupils can take the lesson home with them for practising (ipad/tablet phone etc). For those that need to travel distance, Morning/Afternoon/Whole day lessons may be booked in advance. Tea/coffee/cold drinks will be provided for half day lessons and a light lunch for the whole day. If Cheshire is too far to travel then there are a few teachers in other areas we would recommend, contact us for more information. Almost all of us have wanted to have a go at making music at some point in our lives. Most think it ..
Book a 30-minute lesson here and we will then call you to arrange a day and time. ..
Book a course of 6, 30-minute weekly lessons here and we will then call you to arrange a day an..
Book a 60-minute lesson here and we will then call you to arrange a day and time. ..
Book a course of 6, 60-minute weekly lessons here and we will then call you to arrange a day an..
For those that live some distance away and would like a course of lessons in one go. This gives thre..